The architecture world drastically changed after the 2008 crisis. A never-ending optimism, fuelled by starchitects and a seemingly unlimited reservoir of means, was exchanged for widespread unemployment amongst architects and an increasing impact of financial mechanisms on the profession itself. In the aftermath, young architects started to re-organize themselves, looking for different ways to practice architecture and make the profession more relevant again. New desires and means of communication allow for new ways of architecture production, enabling geographically dispersed practices to collaborate in an unprecedented way. Thus, the production of architecture is decreasingly bound to well-defined offices. It allows for teams to operate in constantly changing compositions. During the eras of modern and postmodern architecture, the media contributed to a system where the reproductive value of architecture was closely linked to the identity of the creator. The 1931 ball of the Society of Beaux-Arts, held at the Astor Hotel in New York produced one of the most eminent images illustrating this formula. The architects, dressed as buildings, are identified by their heads, the bases are identical however, as is their common method. In the last decades of the century the increased potential for international travel initiated the phenomenon of the “global” firms, populated by a mixture of nationalities. This script rose to heights by the end of the century, with iconic buildings travelling the globe, accompanied by their well-known creators, presenting an overflowing diversity of style and manner. 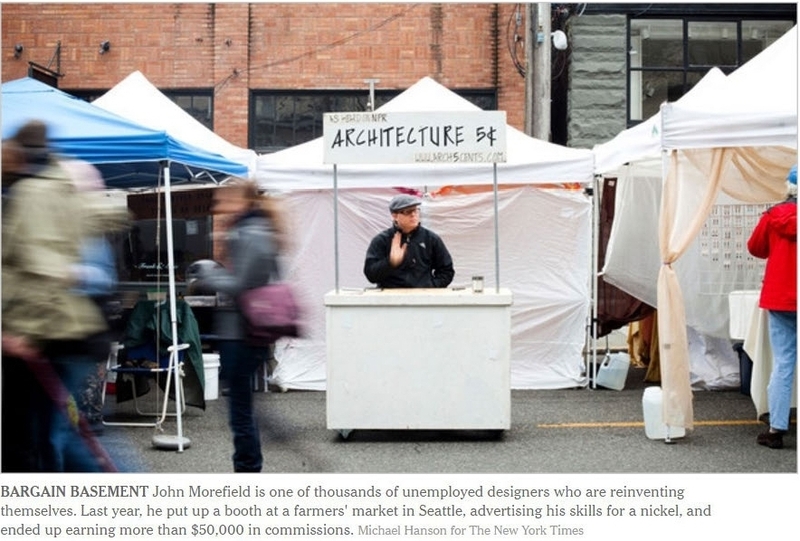 Because of the shrinking position of architects, part of the profession already was looking for new ways to make itself more relevant again, by broadening and deepening its scope and by moving into the territories of other disciplines, being demographics, fashion, graphic design, research, economics, or politics. A decade into the new century, the global financial downturn initiated a phase urging architects to reconsider their role on a fundamental level. Not only in relation to their subjects, but increasingly towards their clients and society, and eventually in relation to each other. As collaboration between architects and engineers, or professionals from various domains, has always been part of the profession, the rapidly changing global conditions cause a rising number of oscillating connections between architects as opposed to the historically slow compositions dominating the field before. While the main part of the architecture world is still driven by economic or exhibition value, a growing current sees the role of an architect changing in this more complex constellation of rotating local and global team compositions. A collaborative approach redefines multiple of the essential aspects of architecture, including process, place, content, economics, and identity. Collaboration starts with the definition of a process or method inside any architecture practice. Depending on its organisation, the chemistry inside an architecture practice is an indicator of the potential outcome of that process. From that perspective, external collaboration, is an expansion of this process. Some architecture practices strive to include as many disciplines as possible inside its organisation, including engineers, experts, and managers, contributing to stability, efficiency, and the production of a consistent quality or standard, requiring a hierarchical organisation with clear responsibilities. On the opposite side, other architecture practices compose a smaller, rapidly changing and more agile team, enabling the practice to concentrate its energy on certain aspects of the field, often key aspects, such as the cultural or economic value. To deal with the growing scale, risk, complexity, distance, or number of projects, expertise or manpower needs to be found elsewhere in this case. Together with the increased potential of contemporary communication and data connections, this explains why an increasing number of practices are aiming towards collaboration, resulting in a more fragmented landscape. The architect is no longer the sole decision maker, but the facilitator of the project information and decision-making process. Identity being a key ingredient of 20th century architecture, joint authorship can be considered by many the antithesis of creative expression. However, given the unlimited amount of team combinations that can be made, potentially connecting local and international partners from different disciplines, the composition and organisation itself become parameters to resolve in relation to a specific demand, initiating a process which can be highly creative on itself. Collaboration stimulates unpredictable acts and encounters in a context simultaneously local and global. Decentralization creates the opportunity to move the identity of the architect out of the spotlight, and focus on the project instead. 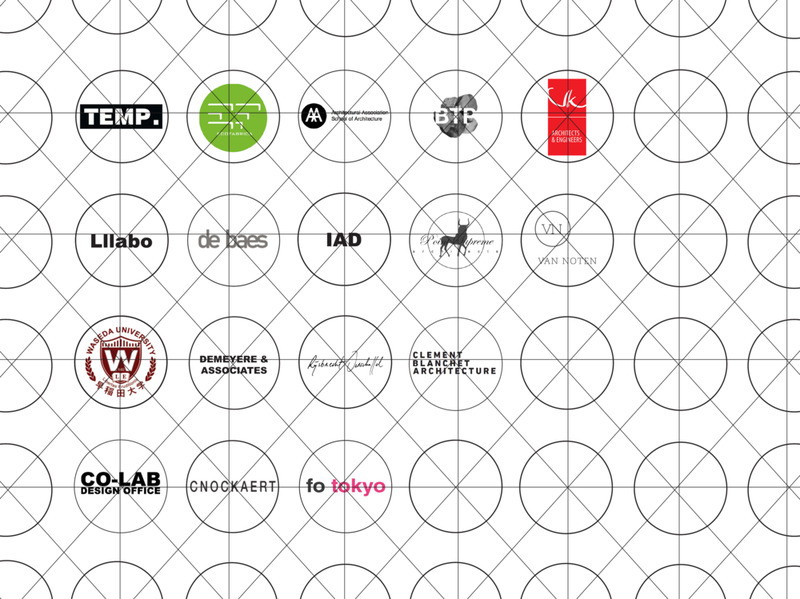 As Rem Koolhaas points out in a recent interview, giving a greater autonomy to the local OMA offices goes against branding, as the whole problem with branding is that an essence is defined at some point in time, and later, it is hard to move away from it. Instead identity has the capacity to define a new meaning and impact on its environment and society. By connecting varying local and global elements in a project, the identity of a place is one of the main characteristics being transformed by this process. This transformation is visible on the Japanese islands around the Seto Inland Sea, where contemporary art and architecture is introduced to induce the rural rejuvenation. Next to the cultural value, decentralization enables the independence of architecture practices from their immediate urban, economic or geographical context. Knowledge and experience from another domain or a different part of the world can now create a very distinct impact on a local scale without the means and dynamics mostly associates with big architecture firms. Where local economy formerly played a dominant role in the success of an architecture practice, by means of collaboration, this factor can be overruled. Architects from a less favourable economic context can collaborate more easily with teams in a more prosperous region, exchanging value both ways. Western cities learn from the energies and rapidly growing densities in developing countries, and vice versa developing countries can benefit from an intense collaboration. As an example, the Amsterdam based architect Kunly Adeyemi, intensely collaborates with the local community in Lagos for his Makoko Floating School. Vice versa, many good architects, left unemployed in regions struck hard by the economic crisis, now provide valuable support for offices in economically flourishing regions. Content and knowledge can be exchanged more intensely by constantly shifting team compositions and engagement with other fields, and society at large, as Alejandro Aravena pointed out in the theme of the last Venice Biennale. It is important for architecture to communicate better with other domains. The creation of “open systems”, allowing many forces at play to have an input, liberates the profession from aesthetic stereotypes and dogmas. Working in a world where so many different cultures and ideas come together at unprecedented speeds, each with their own value system, urges architecture to be open to a multiplicity of readings and interpretations, to become more relevant again. In this sense, the role of an architect is gradually changing, from a creator towards a process facilitator, and a mediator of cultures and ideas. The future holds many interesting challenges to further develop methods to facilitate this exchange and intensify the dialogue. It will be important to improve communication and identify potential clients, team members and disciplines to involve.